Have you ever wondered what you would do if you or a family member had a dental emergency and needed urgent dental care? The sad truth is when you need emergency dental service it can be next to impossible to find an emergency dentist in Albuquerque. Well, we hope you will keep our phone number handy. At TruCare Dental we have an emergency dentist in Albuquerque who can expertly handle dental emergencies and provide exceptional urgent dental care services. The dentists at our practice are: Dr. Andrea Patterson, Dr. John Anton and Dr. Shelly Verma. Our dental practice provides expert dental care for families in the Albuquerque and Rio Rancho area. When you need emergency treatment or a new dentist for all your family’s needs, we hope you will always think of us. Our dentists provide the highest level of patient care and treat all of our patients as members of our extended family. Nothing but the best care is ever good enough for our patients. 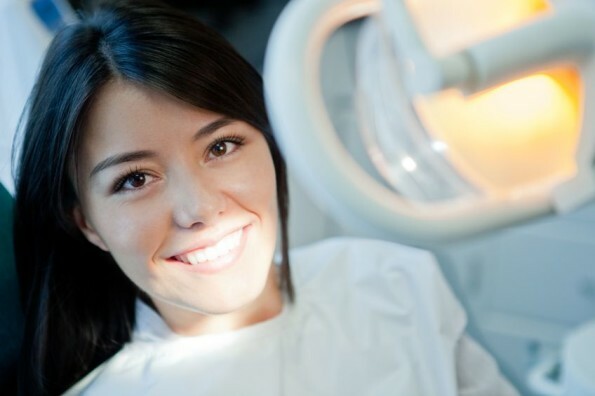 We especially are concerned with providing excellent care in a dental emergency. If you have a dental emergency we want you to call our office at (505) 369-0074 and we will be sure that you are seen within 1 hour. Our caring staff is very efficient and makes sure that we can always accommodate any unexpected emergency patients. As an emergency dentist in Albuquerque we provide treatment for many different dental emergency situations. Among the common dental emergencies that we treat are: broken teeth; emergency tooth extractions; tooth pain relief; treatment of an abscess infection; emergency root canals; and re-cementing of crowns, and bridges and veneers. We also provide care for teeth that have been knocked out of the mouth. If this happens try to recover the tooth and rinse it off while holding it by its crown. If possible, and it does not need to be forced, reinsert the tooth into its socket. If this is not possible then place the tooth in a glass so that it is covered by milk. If there is no milk available, bring it to us in a glass with water with a tiny bit of salt added. When it comes to this type of situation, time is truly of the essence for saving the tooth. If you are interested in becoming a regular member of our dental practice, we would be happy to accommodate you as well. In either event we will always try our hardest to be there should you, a friend, or relative ever need excellent emergency dental care. Dr. Patterson is wonderful!! This was my first time seeing her, she put me at ease and was very thorough. I highly recommend her to any and everyone! !